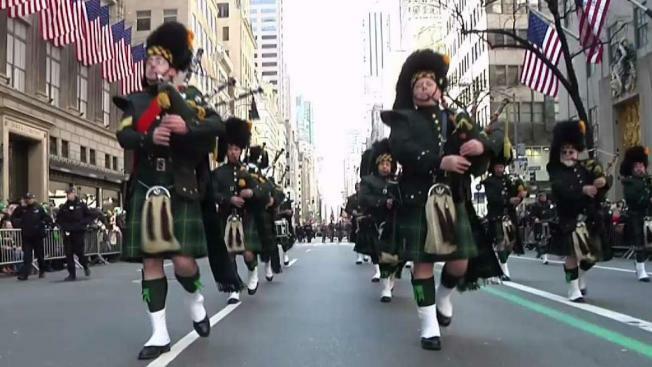 Fifth Avenue came alive with bagpipes and plenty of green on Saturday as thousands celebrated at the world's oldest and largest St. Patrick's Day parade. Sarah Wallace reports. 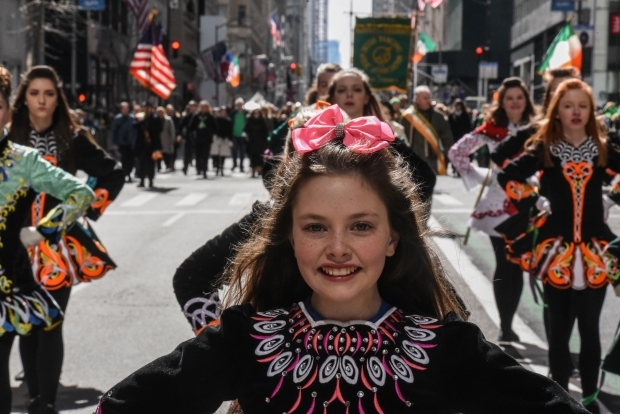 Irish Prime Minister Leo Varadkar joined along as Manhattan's Fifth Avenue came alive with the sound of bagpipes, trumpets and lots of green Saturday at the 257th running of New York City's St. Patrick's Day parade. Several bagpipe bands led a parade made up of more than 100 marching bands after Democratic Gov. Cuomo spoke briefly, calling it a "day of inclusion" and adding: "We're all immigrants." Mayor de Blasio, also a Democrat, marched with police Commissioner James O'Neill under sunny skies. Varadkar, Ireland's first openly gay leader, watched the parade at St. Patrick's Cathedral before joining the march. In remarks, Cuomo said it was "my pleasure to march with him," especially in a parade that long tried to ban gays. Move over, Riverdance. 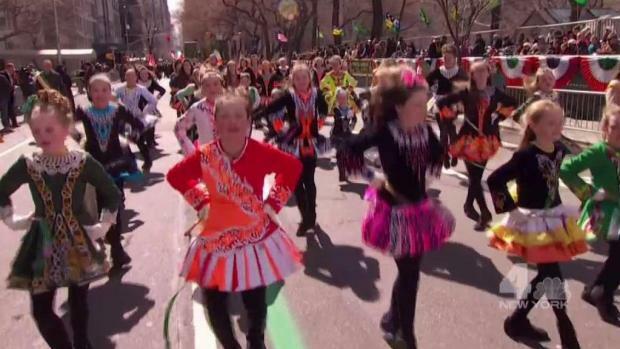 The next generation of Irish dancers is taking over at the NYC St. Patrick's Day Parade! The parade, beginning at 11 a.m., lasted nearly six hours. An estimated 150,000 marchers made the 1.4-mile trek past Central Park, the Cathedral and Trump Tower. Large since the mid-1800s, the parade has celebrated Irish culture and Irish immigrants, who once faced nativist calls for their exclusion from the workforce — and from the country — when they began arriving in the city in huge numbers during the Irish Famine. In the 1990s, parade organizers were involved in annual court fights over whether to exclude openly gay groups from the march. This year, at least two groups in the parade had banners identifying marchers as gay, lesbian, bisexual or transgender. For the 167th time, the lead group marching in the parade was 800 members of the 1st Battalion, 69th Infantry Regiment, of the New York Army National Guard. Cuomo joined them. The regiment, once predominantly made up of Irish immigrants, first led the parade in 1851 as a deterrent to anti-immigrant violence. Her husband, Bill Hughes, a retired police officer who marched in the parade for 10 years, looked on as a band passed. This year's grand marshal was Loretta Brennan Glucksman, chairwoman of The American Ireland Fund, a group that has raised millions of dollars for philanthropic projects in Ireland, including funding for integrated schools for Catholic and Protestant children in Northern Ireland. She rode along the parade route in a Central Park horse carriage driven by a family friend. The parade was a familiar occasion for Matthew McCrosson, 68, who has frequently marched in it during the past half-century.